You can also call your senators to demand that they reject the GOP tax bill. Those eight aren’t the only ones putting their bodies on the line; 1,500 immigrant youth have joined them by staging sit-ins and other protests at the offices of key representatives. This week’s Take Action Now is focused on supporting the actions of all of these brave young people, as well as urgent action you can take to oppose the GOP’s tax bill. The House voted today and the Senate could vote tonight or tomorrow morning on the GOP’s “tax reform” plan that gives huge tax cuts to the rich and sets the stage for attacks on vital public services. Keep calling your senators at (202) 224-3121 to demand that they reject this dangerous plan. 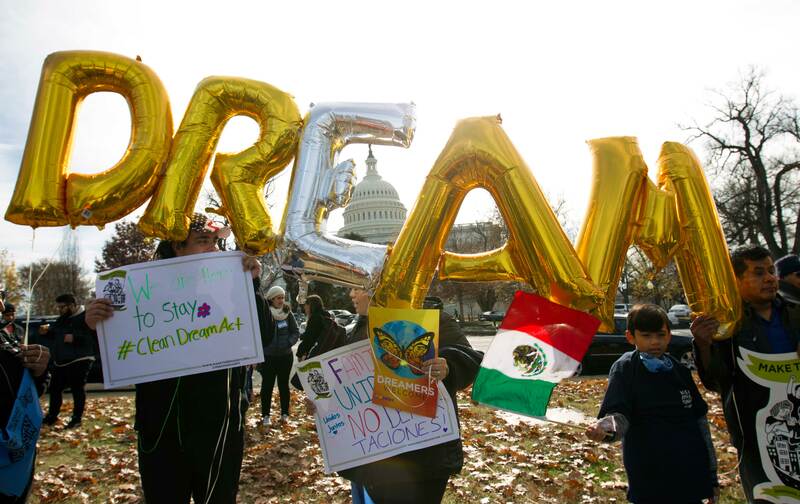 Because Republicans need their votes on a spending bill that must pass by December 22, Democrats have leverage in the fight for the Dream Act—they just need the leadership to use it. Call 478-488-8059 to reach key members of Congress to tell them that we need to pass the Dream Act before the end of the year. Then help to uplift the stories of those willing to put their bodies on the line. Head to fightourdream.org to read the stories of the “Dream 7” and then share them—along with their video and videos of the many others protesting in DC—on Facebook and Twitter. Yesterday, people across the country showed their solidarity by attending vigils in support of the Dream 7, and more will continue to show up for immigrant youth throughout the week. To join them, you can find an event near you here or head to fightourdream.org to sign up.